This article outlines how to setup email forwarding for your email accounts hosted on your cPanel account. Email's may be forwarded to any internally and externally hosted email accounts as long as they are active. 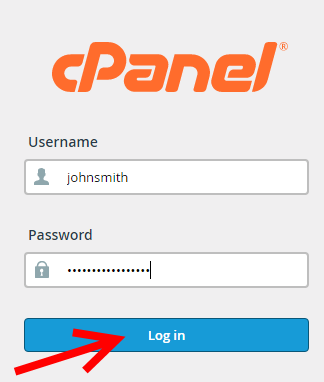 For more information please visit the Official cPanel Documentaion. 2)In the "Email" panel, select the link "Forwarders". To setup an email forwarder for one email account select the domain under "Managing" and push the "Add Forwarder" button. Enter in the portion of the your email address that comes before the "@" symbol of your email address, specifiy the "Forward to Email Address" and push the "Add Forwarder" button. Please Note: An email domain forwarder redirects all email from one domain to another in one single redirect. For example if we setup and email domain forwarder to redirect all email from example.com to example.net emails would forward to the corresponding users. An example of this would be john@example.com would redirect to john@example.net. To setup an email domain forwarder for one email account select the domain under "Managing" and push the "Add Domain Forwarder" button. Select the domain your wish to forward, enter the domain you wish to forward to, and push on the "Add Domain Forwarder" button. 5) To delete an "Email Account Forwarder" or an "Email Domain Forwarder" locate the forwarder on the main "Forwarders" page and select "Delete" next to the forwarder your wish to remove, and then click Delete Domain Forwarder to confirm.